Wotton + Kearney has boosted its Australasian healthcare team with the addition of a heavy-hitting team from a global firm. The team, headed by partners Sean O’Sullivan, Aimee Credin, and Adam Holloway, made the move from DLA Piper and commenced in their new roles at the start of the year. The team also includes senior associates Murray Grant and Victoria Waalkens, as well as solicitor Rebecca Daley. Wotton + Kearney has also just been selected as a panel firm by the Medical Protection Society, the leading protection organisation for doctors, dentists, and healthcare professionals in New Zealand. 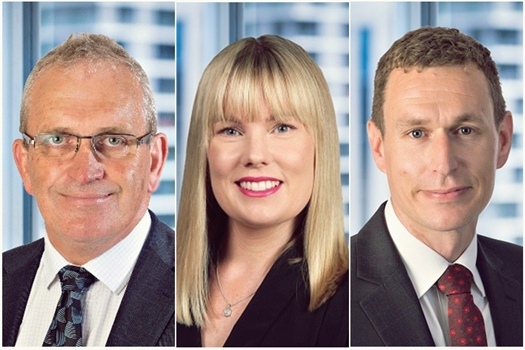 “Healthcare is a growth area for our firm and the addition of Sean, Aimee, Adam and their team reinforces our credentials as the leading insurance firm in Australia and New Zealand, – one that’s known for our practical yet highly skilled lawyers and for shaping the future of insurance law,” said David Kearney, the firm’s chief executive partner. The six lawyers, who are based in Auckland and Wellington in New Zealand, bring Wotton + Kearney’s Australasian healthcare practice to 20 fee-earning lawyers. The team joined the firm’s insurance practice led in New Zealand by partner Antony Holden. The team has extensive experience advising insurers, medical professionals, and health authorities on all insurance issues in the healthcare sector and affecting medical professionals and providers. Their expertise includes medical indemnity, professional misconduct, privacy matters, and disciplinary matters, as well as other investigations, hearings, and inquests. Wotton + Kearney now has 32 partners and more than 150 insurance lawyers working out of six locations in Australia and New Zealand. The appointments come after the firm’s 11-strong senior promotions round announced in December.